I was first introduced to the 3rd Law Dance/Theater through my friend and Darwin Grosse who collaborated with them on numerous occasions. 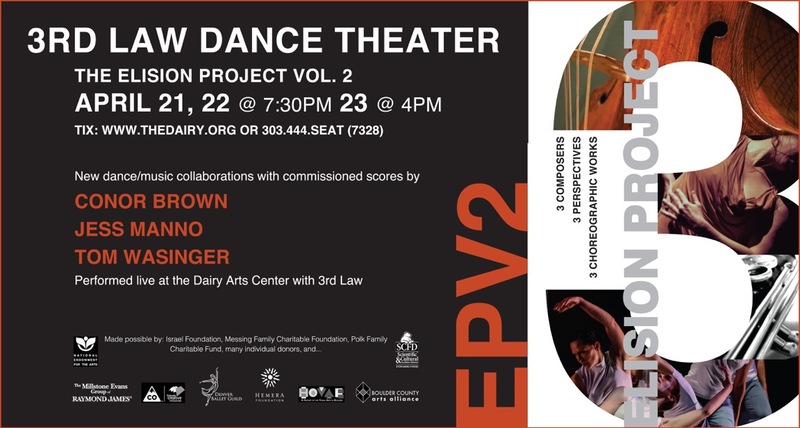 Last week, I was invited to attend a rehearsal for their upcoming show Elision Project Vol. 2. It’s just a fantastic show and includes collaborations with commissioned scores by Conor Brown, Jesse Manno and Tom Wasinger so I wanted to spread the word. HOW THE EVENING UNFOLDS… Each composer will play a set consisting of a piece of their own choosing and then the commissioned work created with 3rd Law. The contrasting forms of recorded and performed music in both classical and modernist idioms will be united by the athletic poeticism of the company’s eight dancers. Jesse Manno is an inventive one-man band blending many cultures’ sounds with a keen sense of dancer timing and interplay. 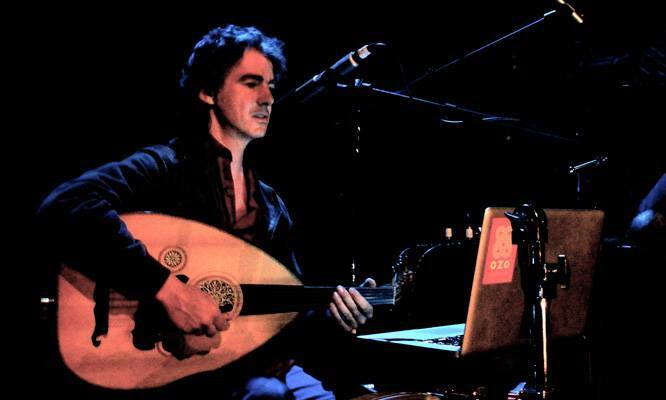 Middle Eastern lutes, flutes, electronics, percussion, and voice express Manno’s broad stylistic range. In rehearsal, I got to hear one of Jesse’s pieces. It was really interesting and he made use of prepared according – bam! Tom Wasinger will utilize the Viol Da Gamba and human voices in an exploration of personal and collective grief. 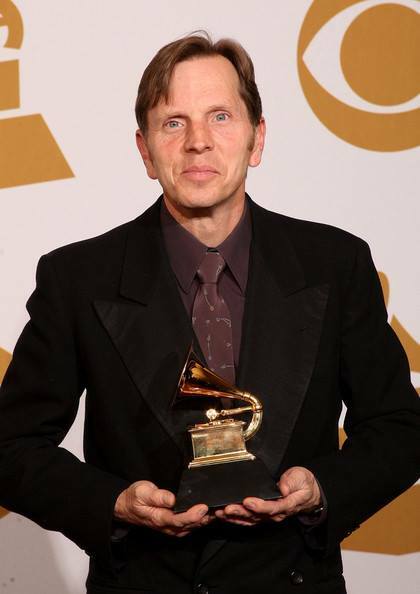 Tom is also the founder of The Lost Angel Stone Ensemble, the world’s only touring collection of resonating stone instruments. This is the first public performance with these instruments in 18 years, featuring a reunion with fellow composer Jesse Manno. I got to hear one of Tom’s pieces as well on the Viol Da Gamba which I’d had the opportunity of hearing live before. Fantastic! What I DIDN’T get to hear was the resonating stone instrument – so I’m super excited to see this at the performance I’ll attend. Here is a link on Tom’s site for this instrument. Conor Brown’s clarinet performances feature complex rhythms and colorful ornamentation influenced by his familiarity with world music. 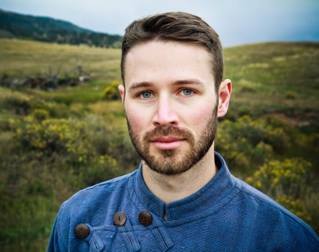 His compositions here are inspired by the sweeping prairies, big sky, and jagged peaks of the American West. Connor wasn’t at the early rehearsal I attended – but the rough cut recording of what he is going to play was quite moving. Just to give you a sense for the type of shows 3rd Law produces – here is a video of a “Authentic Re-Production” which was a collaboration with Darwin Grosse.